Home » TECH NEWS » Oppo Find 7 Smartphone is Coming! 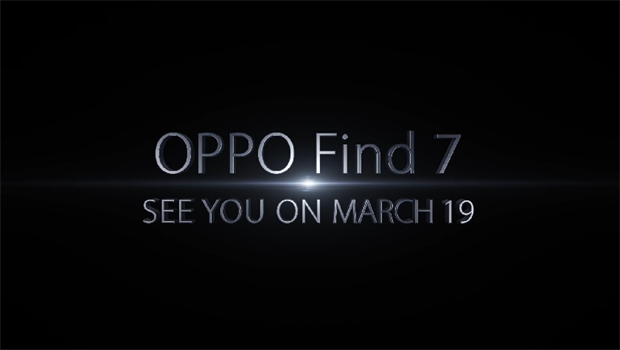 Oppo Find 7 Smartphone is Coming! In just two weeks, the Chinese manufacturer Oppo plans to unveil its new mobile star – Oppo Find 7. With this device they plan to threaten to already ‘standard teams’ at the top, which certainly includes Samsung. The Chinese are on the social network Weibo used official channel to set up a copy of the 50 MP photo, allegedly shot with the upcoming Oppo Find 7 smartphone. Oppo Find 7 should use the latest Qualcomm chip, Snapdragon 801, with a faster memory bus and higher CPU/GPU clocks work than its predecessor. New smartphone should adorn and among the first in the market, screen resolution of 2560 x 1440 pixels, which combined with a diagonal of 5.5 inches could look incredibly good. The device should have three GB of memory with a storage space of 32 GB and a battery of 2700 mAh. Oppo reportedly preparing and another device with the same name, but with slightly poorer characteristics (2 GB of RAM, screen Snapdragon 800 and 1,080 p).